The Cabaret Room at Drury Lane Theatre announces The Summer Series featuring some of Chicago’s top cabaret artists in unforgettable limited engagements at Drury Lane’s intimate Cabaret Room. The Summer Series will include performances by Chicago's Cabaret Queen Denise Tomasello (August 3 and 4), Beckie Menzie and Tom Michael (August 17 and 18), and Joan Curto (August 24 and 25). Performances will be held on Friday and Saturday evenings in the Cabaret Room at Drury Lane Theatre located at 100 Drury Lane in Oakbrook Terrace. The elegant evenings of Chicago’s premier cabaret performers will feature a special menu from Drury Lane’s Lucille restaurant, including shareable plates, classic cocktails, and a wide selection of wines, beer, and coffee. Performances will be held on Fridays at 7:30pm and Saturdays at 5pm and 8:30pm, with doors opening in advance for food and beverage service. Tickets for The Cabaret Room’s Summer Series are priced at $50 for ringside tables and $40 for general seating. There is a $25 food and beverage minimum per person. Reservations may be placed by calling the box office at 630.530.0111. “To Chicago With Love” is a retrospective of Denise’s remarkable and enduring 40-year career that made her the toast of Chicago. The unforgettable evening will feature her fan-favorite signature songs, classics from the great American songbook, and show-stopping Broadway numbers, as well as a special video and photo presentation of career highlights. 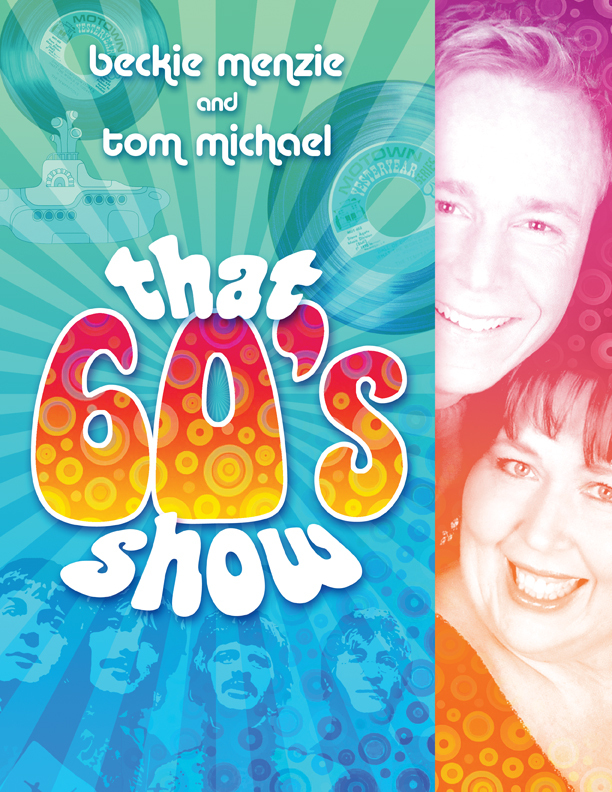 Beckie Menzie and Tom Michael present "That 60’s Show"
The sixties are back! “That 60’s Show” - a celebration of the decade that forever changed popular music. From the idyllic early Motown sound and British invasion to Woodstock, “That 60’s Show” will feature songs by many of the decades favorites including The Beatles, The Supremes, The Everly Brothers, Elvis, Petula Clark, Simon and Garfunkle, and many more, all done in Menzie & Michael’s unique award-winning style. Women and Broadway have a long history not only for the songs that have been introduced and made famous by legendary performers but also for the songs composed by legends as well. This show celebrates their contributions to Broadway history, from Mary Martin to Carole King and Angela Lansbury to Sara Bareilles and many in between! For more information or to make a reservation, call the Drury Lane Theatre box office at 630.530.0111. DENISE TOMASELLO most recently sold out concerts at the Auditorium, the Metropolis Performing Arts Center, Skokie Theatre, and The Drake Hotel’s Grand Ballroom. Winner of the After Dark Award for “Outstanding Cabaret Performer” and the Gold Coast Award from CCP, Denise has headlined and sold out every major venue in Chicago including Park West, the Chicago Theatre, Empire Room, The Pump Room, Davenport’s, a six-year record-breaking run at Sages, and a two-year residency at The Fairmont’s Metropole Room. Denise has performed at New York’s Town Hall and Eighty Eights; Michael Feinstein’s Cinegrill and Gardenia in Los Angeles headlining with entertainers Don Rickles, Jackie Mason, and Alan King. BECKIE MENZIE & TOM MICHAEL have appeared in NYC’s Carnegie Hall and Lincoln Center and Chicago’s Auditorium Theatre, Park West, the Pritzker Stage at Millennium Park, Empire Room, and Davenport’s. Their imaginative musical twists on jazz favorites, standards, contemporary pop, Broadway show tunes, and film gems have won them audience and critical acclaim across the country and around the globe. These five-time After Dark Award winners’ recording efforts have been praised by Billboard Magazine, BackStage, Show Business Weekly, and Playbill. Their duo CD, “Better Two-gether,” is currently available on iTunes and Amazon. JOAN CURTO created, produced, directed, and appeared in concerts at the Auditorium Theatre celebrating the music of Cole Porter and vocal legends Ella Fitzgerald and Lena Horne. She has appeared across the nation in concerts and clubs, often celebrating the music of the Great American Songbook. A Chicago-based artist, she is a familiar face to Chicago audiences, garnering a reputation for her thoughtful interpretations and powerful voice. Joan has performed in many Chicago theaters and clubs including: the Auditorium Theatre, the Harris Theater, Empire Room, Victory Gardens, Davenports, Drury Lane Theatre, Park West, the Thorne Auditorium, and the Claudia Cassidy Theater. She has been seen in numerous Chicago Humanities Festivals and the Mabel Mercer Foundation’s Cabaret Conventions. 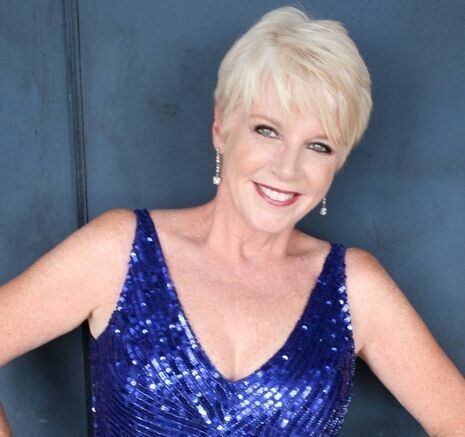 Nationally, Joan has performed in some of the top cabaret clubs and concert series, including New York’s Jazz at Lincoln Center, the Metropolitan Room, the Sharon Lynne Wilson Center in Milwaukee, the Overture Center in Madison, Gardenia in Los Angeles, and the Colony Hotel in Palm Beach. In 2016, Joan was recognized and awarded with the Gold Coast Award by Chicago Cabaret Professionals for her contributions to the art of cabaret and awarded the Chicago After Dark Award for Outstanding Cabaret Artist. She continues to explore the songs of both the Classic and the New American Songbook and has developed and performed shows across the country featuring the music of Cole Porter, George & Ira Gershwin, Richard Rodgers, Jerry Herman, and Stephen Sondheim. Subscriptions for the 2018/2019 Season are priced from $157 to $187 and are currently on sale. Subscribers receive special offers on dining, flexible ticket exchanges, and early notification and priority seating for added events and concerts.